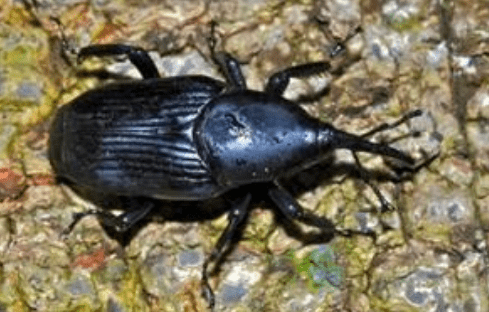 The shiny black South American Palm Weevil is 1.5 inches to 2 inches long and flies from tree to tree. It mainly targets Canary Island date palms but has also been known to target avocados and citrus trees. The weevil migrated from Mexico into the Chula Vista and Bonita region in the past few years, but the invasion has grown enormous now. Hundreds of the palms have been killed. The weevil infestation has been noted to be especially bad in the Sweetwater river valley.